There’s nothing like a fun family outing to bring everyone together for a good laugh and a great time. Cape Town offers a variety of options to delight the whole family, especially the kids. Find out all you need to know about keeping the entire clan occupied and happy with these fantastic Cape Town spots for the family or check out our Guide to Cape Town for even more ideas. For a classic and thrilling amusement park outing, Ratanga Junction is the way to go. With over 30 attractions and rides to choose from, you can be sure that everyone, young and old, will find something up their alley. The younger kids can enjoy the laid-back boat and carousel rides, whilst the older members of the family are promised an adrenaline rush on one of the exhilarating roller coasters, such as the famous Cobra. Monkey Falls, with its 18.5m drop, is one of the most thrilling rides in the park to be enjoyed by the family but it’s definitely not for the faint-hearted. For a more relaxed option, an exciting game of mini-golf awaits and can bring out the competitive side of everyone. The variety of fair-style games on offer give family members the chance to win some amazing prizes and when everyone’s ravenous, stomachs can be filled by the variety of available food options. Tickets are priced according to height and the summer months are when the park is in full swing. This enchanting aquarium is a favourite for parents and children alike as it ensures hours of fascination. Kids get the opportunity to explore the wonders of the underwater world as they interact with over 3000 sea creatures, from colourful fish to turtles, starfish, seahorses and sharks. The feeding of the various marine animals are a must but these are done at varying times so it’s important to find out when they happen so as not to miss out. The children will love watching the cheeky penguins munching on some fish. The aquarium is conveniently located in the popular V&A Waterfront so that means that after an exciting visit to this watery wonderland, you can get some shopping done too. Hours of icy fun can be enjoyed at the Olympic-sized Ice Station Rink at GrandWest Casino. Special hours are set aside to allow amateur skaters to take to the ice and enjoy hours of fun as they slip, slide and glide along. It’s the perfect way for kids to build up their confidence on the ice and it’s a great form of exercise too. South African winters don’t usually see snow, but this winter wonderland can add a whole new dimension to the cold weather. Skates are available for hire, so all you need to do is wrap up warmly, wear thick socks and make your way to GrandWest for a day of pure fun on the ice. For a thrill of a different kind, why not give tobogganing a try? The 1.2 km steel track provides hours of fun and laughter as kids and adults whizz down, reaching speeds of up to 40 km per hour. The durable bobsleds are made for two which means that you are able to share this exhilarating experience with someone else (children under eight years need to ride with a parent) which is perfect since the twists and turns of the track are that much more enjoyable with a partner. Once you get a taste for speed, you’ll want to keep going back for more again and again. The best part is that you don’t have to trek back up the hill each time, as the specially designed steel cables do all the hard work for you. Little tykes will love this train adventure on this famous blue locomotive situated along the Promenade. Kids of one year and up will squeal with delight as they go round and round as the sea passes by along the beachfront. The Blue Train has been a popular choice for Capetonian parents and their kids for decades and a ride (or three) is a sure-fire way to make the little ones smile from ear to ear. Once you manage to pull the kids away, the nearby jungle gyms provide further hours of fun and are a great way to get all that extra energy out. 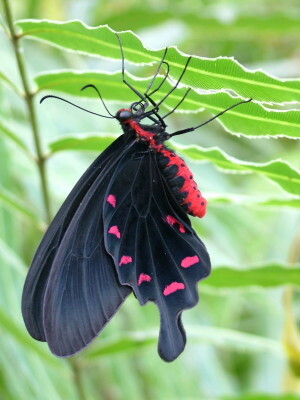 Set in the beautiful surrounds of the Cape Winelands, the tropical garden of Butterfly World is home to a variety of fluttering insects from all over the planet. This magical place will excite kids and expose them to the wonderful world of butterflies as they walk amongst the free-flying beauties. Other animals can also be found roaming around, such as goats, ducks and chickens, and for the more daring types, there’s a special enclosure that houses spiders and scorpions, as well as a large iguana cage. Lastly, there’s also a meerkat enclosure where kids can watch these playful animals going about their business. Butterfly World is a unique experience and one that is sure to be enjoyed by all. Kids will get lost in the piles of gemstones at the incredible Scratch Patch in Simon’s Town. Hours can be spent scratching through the thousands of stones in an attempt to find the best ones. There are many different stones to choose from, from Tiger’s Eyes to sparkling crystals and amethysts. This sounds like a rather costly affair, but in fact it’s very reasonable and parents can choose from either small or large packets to get for their kids to fill. The young ones will love exploring this treasure trove filled with interesting stones, and the cherry on top is that they get to take their precious finds home with them. There’s nothing better than an activity that not only occupies you, but also challenges you and helps expand the mind. 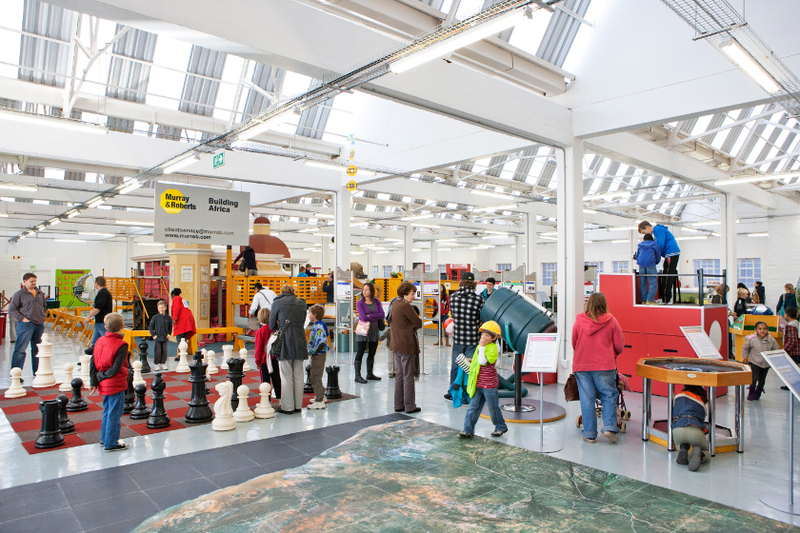 The Cape Town Science Centre is one such gem – with its multiple exhibits and experiments, this exciting laboratory makes learning fun. There is so much to try out, touch and test, such as the human gyroscope that will show you what it feels like to be weightless, the exciting revolving wheel and an entire room filled with just Lego. The life-sized replica of Mark Shuttleworth’s Soyuz space capsule is nothing short of fascinating and the daily workshops held during the school holidays plus the winter science camps are perfect for keeping the kids occupied when they’re off school. This centre is well worth a visit and the interactive displays will thrill kids and adults alike.